. What's the answer? Is there an answer??? Maybe the ATU getting some balls (since work conditions are subject to negotiation; ask Karen Lewis). And passengers willing to pay $6 to ride a cattle car, so as the publicly subsidized TAs can pay for a better grade of employee. Essentially, the transit business screwed itself into the ground in the same manner in the early 70s, when the workers went on strike, and companies like Evanston Bus Co. and Chicago & Calumet District said "we're going out of business." However, as Hammond Transit more recently showed, there is no one to take over a losing operation to move the impoverished class today. The transit situation in northwest Indiana has been pathetic for decades. The problems started during the 1930's when Gary Railways gave up most of their routes outside of the city of Gary. Gary Railways and Gary transit were doing OK as a result until Gary itself went to pot in the 1960's, and the whole thing kind of collapsed in about 1973. Calumet District was a problem because it never really did much. The routes they ran in 1972 were pretty much what they started with when they bought out the jitneys in the 1920's. Their main focus was always Inland Steel, but steelworkers stopped riding buses many, many years ago. Otherwise, they only had a couple of major routes, namely Chicago to Gary and Whiting to Griffith. What kept them going in their later years was the downtown express service, but that was strangled by traffic congestion on the Dan Ryan. After Calumet District shut down, East Chicago started its own, free-fare, operation. It has struggled along over the years, sometimes with buses, at times degenerating to 16-passenger vans, though now it has real buses. Hammond tried, let's give them credit. Went thru a whole bunch of contractors, some better than others. But finally the matter came down to whether gary, East Chicago, and Hammond could co-operate. Gary really did not want to have much to do with east Chicago or Hammond, and was just interested in Gary, east Chicago flat out refused to have anything to do with anything that would have resulted in charging a fare, and Hammond sad basically, if you guys won't play, we won't either. Of the other ones mentioned, Glenview in its last few years was about as pathetic a carrier as could be found. Went thru three sets of buses (Evanston 4507's, West Towns 4509's, Safeway 4512's) in two years because of a total lack of maintenance (lack of money, basically), and simply shut down with two days notice when they ran out of operable buses. Evanston's problem was that in 1973 they were running basically the same service as in 1945. Way too much local service in Evanston than was needed by that time. Only really busy lines were #1-Central/Sherman and #2-Ridge, both of which were essentially unchanged since 1927. They are still the two main routes. Money isn't everything. But to many people it seems to be. Again and again unions bargain away all sorts of work rules for small wage increases. Like the debate for several years now over railroad train crew fatigue. Plans were drawn up by the major railroads that would give crews a much more predictable work schedule, with starts within a narrow time window, but the union shot it down because it would result in two less round trips (8 instead of 10) for crews per month. The transit industry is not underpaid. The problem is that working conditions at many systems are approaching slavery conditions. Nobody seems willing to deal with what the real 800-pound gorilla in the room really is. The single biggest reason for turnover I think is that too many bus companies are way too eager to fire people. Discipline is fine, and is necessary, but when the employees begin to think that management is out to get them, you start having a problem. In times past the idea was to correct bad habits and attitudes, and retaining was a big thing, now the kind of thing that got you a few days suspension and a day of retaining gets you canned. Eventually you start running out of potential employees if you fire enough people. Who wants to work where every day you are in fear of being fired for what are really very minor things? 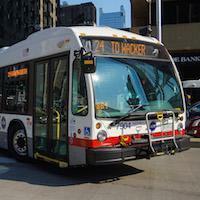 The transit situation in northwest Indiana has been pathetic for decades. Again true, but doesn't negate that when it is run into the ground, all that's left is for the union to shut it down. What's the answer? Is there an answer??? The transit industry is not underpaid. The problem is that working conditions at many systems are approaching slavery conditions. That simply gets down to my point that working conditions are subject to collective bargaining, and the ATU has repeatedly shown that it has no balls, such as by agreeing to interest arbitration of the contract, and then having the same arbitrator hearing the grievance over which of the 20% were to be laid off by Rodriguez. Also, it is money. On management side, Claypool wouldn't care about the extra board if CTA had unlimited revenue. He also wouldn't be firing people if there was money to cover the absenteeism. On the workers' side, they would tolerate certain conditions for more money (like steelworkers in coke plants dealing with piles of coal so long as they were paid tonnage in addition to the hourly rate). Since people who quit aren't eligible for unemployment compensation, they must be getting something better, either in money or working conditions. If retention is that bad, CTA is going to have to meet competition in the labor market. MickeyD's, Starbucks, and the like are paying more than minimum wage for reasons other the goodness of their hearts, such as now some of the help seems more competent and can speak English. There is a lot of validity to the point that the more employees you have, the more it costs. However, once you get to the point where you are driving employees to the maximum, which hasn't happened here yet, but I gather is not that unusual in quite a few cities where they are making drivers work the maximum hours the law will allow, morale goes down, down, down, and especially new hires who are making about 12-14 dollars an hour start seeing Wal-Mart or Home Depot jobs as not that big a step down in terms of money, and a step up in terms of working conditions. Yes, once you are at 32 dollars an hour, you are basically a trapped rat. Anywhere else you go will be a huge step down, so you stick around no matter how bad it is, but you get more and more basically disillusioned and unable to care whether you are doing a good job or just barely passable. Cutting the extra board has now resulted in not being able to make schedule. There are limits to how much you can scare people into coming to work. At some point, you just have to accept a certain percentage will not, for many reasons, many not under their control. If you realize you have to on the average day cover 50 runs, and you only have 45 people to do it with, you either A) beg people to work extra, which will work only so long until they get exhausted, or B) simply not put some runs on the street. B is happening more and more often. And when you have two consecutive buses missing on a route with a 20-minute headway, believe me, the riders notice. I don't think veterans are trapped rats. It's good to keep your eyes open, i know of many CTA veterans that have moved their way up in the company. Of course, as they say, "god helps those who help themselves" and if you are not proactive you will just stagnate in your current position. Not really that $32/hr is such a bad check. Unless you are like Mr Drummond on Different Strokes and have to live in a penthouse, you should be able to afford a house at that pay and if the wife works all the better. There are ways to flex the budget, like if you can't afford the north side, the houses on the south side are cheaper but really with emanual and company slowly pricing us out of our houses a look at a different state might not be a bad option like Wisconsin or Indiana. Taxes are lower there on everything. I know I have family at CTA, and now they are stuck at top pay and they talk of retiring, but look at what the job has done for them. There situation is way better than it was without the job. I would only do that if I was finiancially secure. Me myself I think about either retiring early or working part time, it really depends on the physical nature of the job. As we are getting older, we have to pay attention to our bodies as well and we don't want to go to our graves working to death either. A good thing to do as a younger person is to build your assets and they will take care of you in the elder years. I cannot stress that enough. Doesn't CTA have a union that limits overtime. My union does but still the company will try to force you to work the max but you have the right to refuse extra work to an extent unless it's mandatory. Yes, once you are at 32 dollars an hour, you are basically a trapped rat. Anywhere else you go will be a huge step down, so you stick around no matter how bad it is, but you get more and more basically disillusioned and unable to care whether you are doing a good job or just barely passable. It's that way everywhere. Even in "professional work," if you aren't a "rainmaker"--i.e. bringing in clients, or working extra hours without overtime pay, since professionals are exempt, you are trapped. Similarly, if the company's numbers "aren't good," you get laid off, and instead of the public sector "not good" meaning the taxpayers won't meet the loss, it means "the company projected 50% margin and earned only 45%," You are also gone if you do not "add value," which does not mean to the customer, but getting the margin to 55%. You may have to pay into your pension (apparently the other city and CPS unions got out of most of that obligation), but you don't pay FICA. You have a state constitutional right to have your pension untouched, while workers in the private sector only have the PBGC. Since CTA operating cost is covered about 40% from the taxpayers, it seems like this is another instance where public employees on the taxpayers' dime who have better than most people why pay sales tax don't care. Doesn't CTA have a union that limits overtime. CTA bus drivers have ATU local 241, Apparently it isn't doing much of a job representing its members, However, as Andre pointed out, there are federal driving limits. Also, don't forget hours over 40 a week are time and a half, so most bus drivers are making $49.50/hour for OT. I don't think most are complaining. The issue is that instead of things getting better (whatever that might mean to an individual) things are getting progressively worse. Sure, you get paid good, but in return they really do mess with you. I realize the garage-level management is not at fault, if anything they are in a worse fix, and the turnover at garage-level management level is huge. Many are being hired off the street as managers now, seems like FedEx has become a frequent source for some reason. However, they are under the gun to discipline drivers, and like the witch hunters of the colonial era, if they don't catch enough witches, they are out. Much of the job deterioration is being directed by the political hacks at Lake Street, who go from one city department to another with a mandate to cut costs no matter how, and since they have little or no conception of what they are in charge of at any given time, they simply apply the same ideas - cut manpower, make everybody work more. Overtime is always cheaper than additional personnel. There are basically two kinds of people at CTA these days. Overtime hounds who have no lives away from work who boast about working 70-80 hours a week, and those with real lives and families who grumble about not having time to do anything other than work. Experience has taught me that what is happening at CTA will sooner or later lead to mandatory overtime, where it's either work your day off or get immediately discharged for refusing. I saw this exact scenario in Las Vegas, where it has been going on for 10 years now as an "emergency" measure. As for hours-of-service laws, the federal ones that keep truckers in line and not running 24/7 (which some would if they could get away with it) do not apply to transit drivers. Since transit is usually "intrastate", the only thing governing hours is companies' internal policies. And they can easily be changed if they "have to be". After the O'Hare L wreck, CTA was basically forced to change how the extra board on the L worked. It used to be railroad-style, first in, first out. This resulted in a person working basically 8 to 10 hours, being off 8 or 9, and working 8 to 10 again. Note where this leads. This is not a 24 hour cycle, but a 16 to 18 hour cycle. Today you work an AM shift, tomorrow a split, the day after a PM, the day after a midnight. Your circadian rhythm goes nuts trying to keep up, and no wonder people fall asleep at the controls. I will say that in the days when I was working on the L, there were times when (in those days we still had two person crews) I pulled the emergency brake when I realized we were about to roll thru a station because the motorman was asleep. Now I gather the L extra board is more like the bus one, where work is basically assigned in order, where the top of the board gets AM's every day in finishing time order, the middle tends to get swings, and the bottom gets PM's in start time order, so usually you tend to work somewhat the same hours every day, with the folk in the middle being really the only ones who might get a swing instead of an AM, or a swing instead of a PM some days. This at least for most gives you a somewhat predictable schedule. Yeah I forgot truckers are limited to 10 hours a day. Go over the limit and i believe you have to stop for 33 hrs. whats really nuts is someone with a 4 unit building they want $228 more from. Can anyone say rent increase!! Remember that thanks to the 1970's constitution, the government employee pensions are sacrosanct and ironbound. Courts have declared there is no way to change them, even if the result that they eventually take 100% of the city and state budgets. Can you see the city's (and state's) population dropping over the next few decades? If you have nothing to worry about then everything will be ok, regardless if they'd give you a random drug testing or not. Good luck! Somehow, the name "Brittney Heywood" comes to mind. What so many people realize is that the way these agencies are operated these days, it isn't always about the money. short extra boards get exhausted (quickly), you can never get a legitimate day off because of "lack of manpower". and eat the day. Then management cries that the workforce has a poor attendance. Maybe they need to wake up ! If you are talking about CTA, its mostly that Claypool brought his "management ideas" to CTA, but then reaching his full Peter Principle potential at CPS. It also comes down to there wouldn't be any economic incentive to do stuff this way so long as the perception is that there are lines of applicants willing to make up for all the attrition.Poochie and company would not be writing if they thought they could get something better. This topic isn't about people holding on until they get their pension. Sad but true - 32 dollars an hour is very hard to give up voluntarily. This is why most of the attrition is in the early stages - mainly part-timers. Working 25-30 hours a week at $14, given that you work mostly swings and late Sat-Sun, is plenty of incentive for somebody to go elsewhere, especially once they realize that full pay might be 4 to 6 or more years away. If you have other skills than driving a bus, you can get a job that pays just as much as a rookie part-timer with a heck of a lot less of the hassles. But once you hit the higher pay rates and start picking relatively what you want, let's face it - your foot is in the bear trap. I don't want to get off topic but? I can't figure out how to start a new thread has anyone quite or been fired from Cta as a ptbo and been rehired?? What is the process like and what will prevent them from rehiring a former employee?helppppp????? I'm only entertaining this question because I don't get the point of why you are asking it, @Tiffany. Presuming you or your friend/relative have had employment as a Bus Operator with CTA and left for whatever reason(I'm not going to ask why or even judge that.... that's your or your friends/relatives' work history and totally your/their business), you/your friend/relative should know what the process is for getting hired at a Bus Operator for the CTA.... I don't really think it's changed much over the years, other than maybe you have to go online(before you probably just go to CTA HQ and fill out a paper application). As far as blocking a former employee from rehiring, this is where you have to review your(or your friend/relative if this is about them) history with the CTA. Why you or they quit/got fired? Did you or they leave under good terms if they quit? If you or the person this is about was terminated, it's usually for a violation of some policy/rule which may blackball you or them from being rehired from the CTA. Again, it's your(or your friends/relatives') business, and I'm not going to poke into who or why. It would be prudent for that information to remain between you(or your friend/relative) and your/their employer.... not anyone here on this forum. This should provide more than enough of a answer to your question. Well if you believe the tales I heard about the rehiring of our famous o'hare snoozing operator, I would think that rehiring would not be an issue, as long as you didn't take a bus to Mexico!! Another tale I heard but that was a long time ago, now everything is gps tracked. Actually, hiring has changed a LOT over they ears. In the 1970's, you basically went to the alderman's office and got a "letter". Or you knew somebody at CTA and put their name on the application. I know I had to have a "reference" when I first started there in 1977. Otherwise you would wait forever and never get called. This is how it was - clout. Part of the reason was that turnover was really low. It was unusual for somebody to be discharged, you had to do something really severe. A lot of things that now get you fired (even such extreme things as drunk on duty) would get you made a janitor or ticket agent instead. You can really say that CTA really tried to avoid firing people then. Partly because of the Shakman Decree, which officially applied to city jobs, but by extension to the CTA also, this all changed. Now, hiring is much more open, and anybody who applies will be considered (though knowing somebody inside still helps speed things up), and it is quite easy to get fired, as the tolerance levels have gone way, way down. A lot of it can be traced back directly to Claypool, but the process really started changing with Robert Belcaster, who was the first CTA General Manager who came from outside the industry and had no concept of how things had always been done, and did not care either. As a lot of old-timers will tell you, CTA is still a good job, but back in the 1980's it was a great job. Also, people are starting to notice that as far as advancement is concerned, there is a lot less now than there used to be. Even here at 103rd, we have several managers that never drove a bus before. They were hired off the street as managers. One came from FedEx, another from a school bus company. Transportation, yes, but there is, or should be, a big difference between FedEx and an urban transit system. A driver can realistically aspire to be a supervisor or an instructor, but that is about it. Higher levels are filled pretty much from outside now, based on college degrees and "related experience", whatever that means, and rarely by promotion. The general office is another matter entirely, almost totally now filled by kids hired straight out of college who then advance within the general office hierarchy. Of course the senior management is now strictly political.